NEW YORK (WABC) -- Brace yourself against the Demogorgon because Stranger Things fans can now turn their living room into the Byers' living room. Netflix joined forces with Snapchat to create a 3D augmented reality filter to celebrate the Friday release of the show's second season. 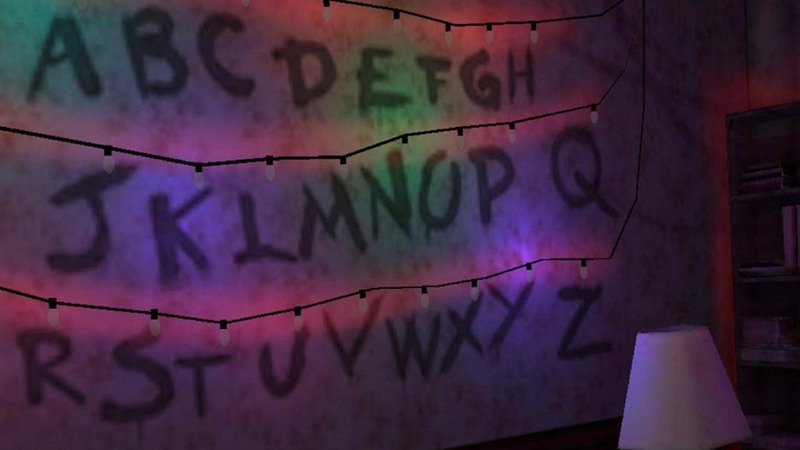 The lens allows Snapchat users to explore the room in a full 360 degrees, equipped with the painted alphabet, flashing rainbow fairy lights and Demogorgon shrieks. Several of the elements in the room can be activated by tapping the screen, like making books fall off the bookshelf or by entering the door to the portal itself. By using Snapchat's face lens, users can also access a filter that simulates Eleven's nosebleed, which can transport users to the Upside Down if they raise their eyebrows or swap their cameras. Fans can even activate the lens by using Shazam in Snapchat while playing the Stranger Things theme song, a feature released for the first time by the app. Check it out for yourself and channel your inner Mike, Dustin or Lucas. Just remember to bring some waffles along for Eleven.